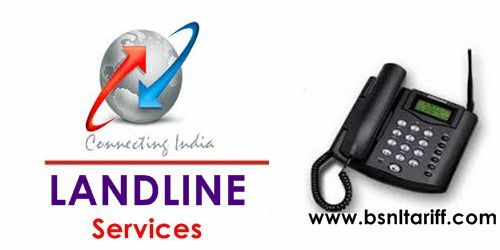 High speed internet service provider BSNL has announced bonanza offer for Landline subscribers offering double free voice calls per month in Landline services. State run Telecom Company Bharat Sanchar Nigam Limited (BSNL) doubled free calls in existing Landline plans which are running across India from 1st August, 2017 onwrds. As per latest information, BSNL without any extra charges or hidden charges offering nearly double free calls to the existing General and special landline plan (Economy and special) customers. However, the above revision of free calls is applicable for the plans with FMC of Rs.160 and above. In revised general landline plans, subscribers can enjoy exactly the same number of free calls as their monthly rental. At the same time, BSNL revised alternative packages for Rural and Urban Landline plans i.e Economy 355 and Special 495. Under this rationalization Economy 355 plan customer will get 325 free calls to any network instead of regular 225 Free calls to any network. Similarly, for Special 495 plan customer will get 500 free calls to any network instead of regular 400 free calls to any network. The above revision will be implemented with effect from 1st August, 2017 onwards in all telecom circles under Landline services.